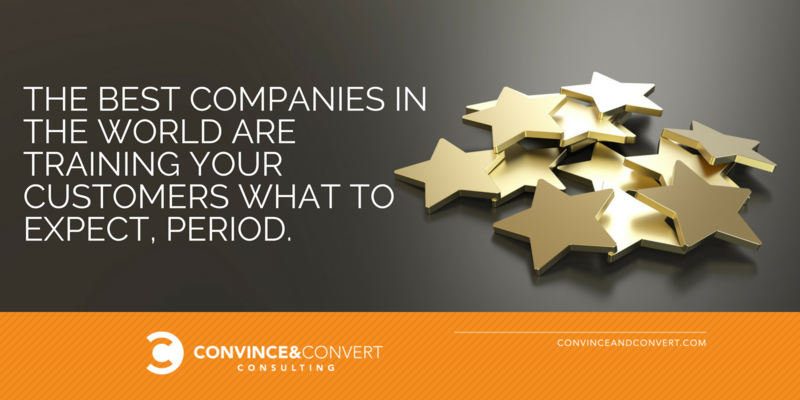 Your brand is in a constant fight against competitors. You have to know how you’re perceived. Where you’re losing. What your competitors excel at. And where they’re weak. Unfortunately, most brands don’t prioritize this data. They either don’t collect it because they don’t know what to look for, or they don’t have the right tools to measure it. 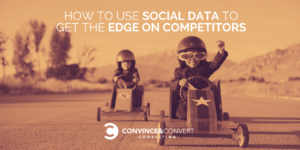 Working with our friends at Brandwatch, I set out to help solve this problem in a Webinar on effective competitive intelligence using social media data. Phillip Agnew, Product Marketer at Brandwatch, joined me for this session, where we presented a five-stage checklist to help you figure out how you’re performing. You can get the entire session—at no cost—on demand right now. Just visit this link. Today, customer expectations are liquid, meaning that they slosh over from one business category to the next. It wasn’t that long ago that customers would say “that’s a pretty good experience, for a financial services company.” Or, “that’s a pretty good experience, for a B2B company.” No more. The best companies in the world are training YOUR customers what to expect, period. If they can make it one-click easy, offer free two-way shipping, be open 24 hours per day, and send hyper-relevant emails, why can’t you? The genie of customer expectations is never going back in the bottle, and what was amazing in 2015 is “meh” today. You simply must continue to raise the bar. This is what I am constantly harping on our team about here at Convince & Convert: yesterday’s victories mean nearly nothing now. The scoreboard always resets to zero. How can you get better and better and better and better, without end? Customer experience is an escalator, not stairs. Your competitors—the smart ones at least—are thinking the exact same way. Your customers are overtly measuring what you deliver to what your competition delivers. And to stay on top, you need to know exactly what the other guys are up to, which is where social media data becomes very valuable when you use it consistently and wisely. Here’s a summary of 5 key points in the Webinar on how to use social data for competitor analysis. Compared to your competition, how many customers are talking about you? Within your competitive set, are consumers saying positive or negative things about each company? Who stands out? Who is the “favorite” of the consumer? This is where it gets insightful. Using social data, you can (and should) create maps about what topics competitors are posting about on social media. This helps to understand their product strategy, their marketing strategy, their sales strategy, their customer service strategy, their employee advocacy program, and a lot more. This example, supplied by Brandwatch, shows social media chatter about competitors Heineken, and Guinness. As you can see, the topics in this snapshot in time are very different, even though the products are quite similar. Here, you use social media data to determine how often consumers are talking about your brand in the context of specific products. For example, in the Webinar, Phillip showed an example of Burger King tracking how much consumers talked about their new veggie burger, in comparison to vegetarian offerings from other fast food restaurants. I love this one. 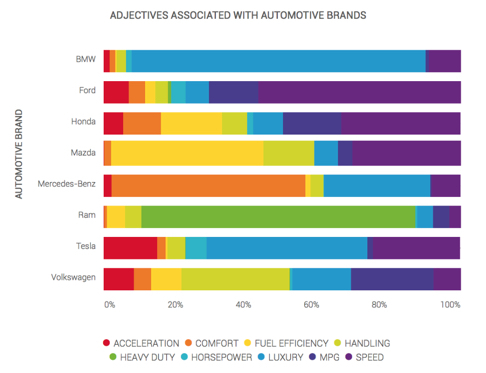 Here, you track how often specific, desirable attributes are associated with your brand (vs. competitors) by mining word inclusion in consumers’ social media posts. If you’re trying to figure out your brand positioning, content marketing, social media marketing, and PR approach, this information can be incredibly valuable. There are, of course, many more ways to use social data to gauge competitor behavior and attributes. But those are the five that we focused upon in our session. I’d love it if you took the time to watch the replay. It’s a good one!